Mon, Feb 4, 2019, 08:37 pm SL Time, ColomboPage News Desk, Sri Lanka. Feb 04, Colombo: Sri Lanka is emerging as the fastest growing Meetings, Incentives, Conferences and Exhibitions (MICE) tourism market and the market is expected to reach US$ 285 Million by 2025, a report published by the Research And Markets says. According to the "Sri Lanka MICE Tourism Market: Current Trends, Opportunity, Growth Potential and Forecast to 2025", India, Maldives and China are the largest source market for Sri Lanka MICE Industry. 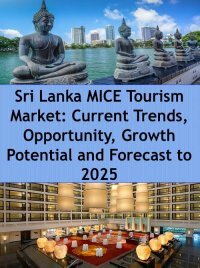 The report offers the most up-to-date industry data on the actual market situation and future outlook for Sri Lanka MICE tourism market using data and analysis to discuss potential lucrative opportunities and future trends related to Sri Lanka MICE travelers' arrival, revenue and main destination markets. The report provides clear insight into current and future tourism developments of the Sri Lanka MICE tourism market. Furthermore, it uses a country-focused analysis to explore Sri Lanka MICE tourism market. The countries included in this report are India, China, United Kingdom, Germany, Maldives, France, Australia, Russia, USA, Canada, Sweden, Indonesia, Singapore, Pakistan, Japan, Malaysia, Philippines, Thailand, South Korea, Bangladesh and other countries.